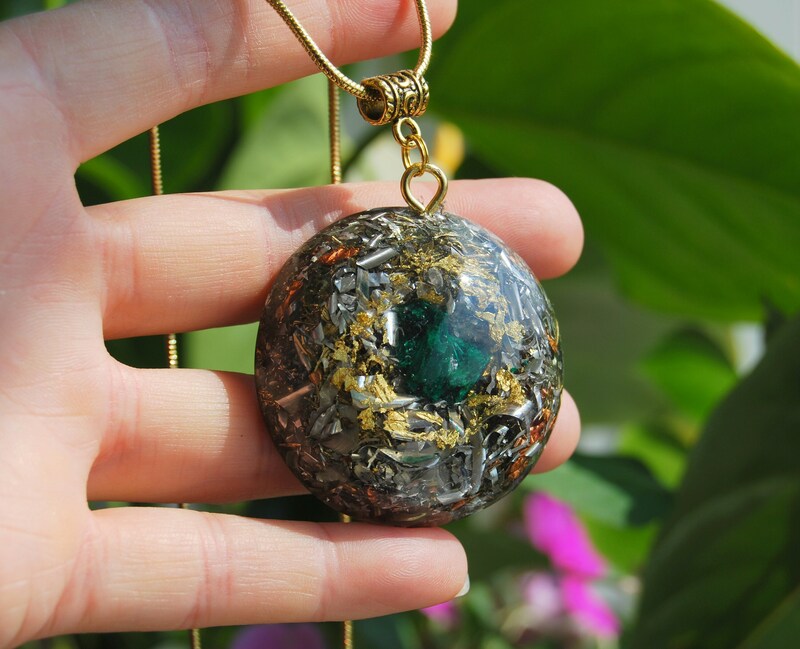 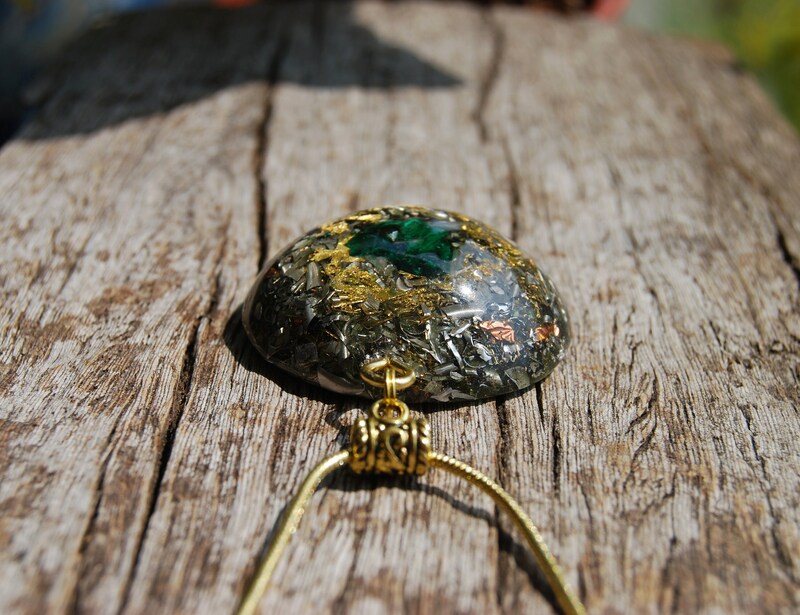 Silky Malachite Crystal Orgonite® Large Pendant Necklace Unisex - FREE Shipping ! 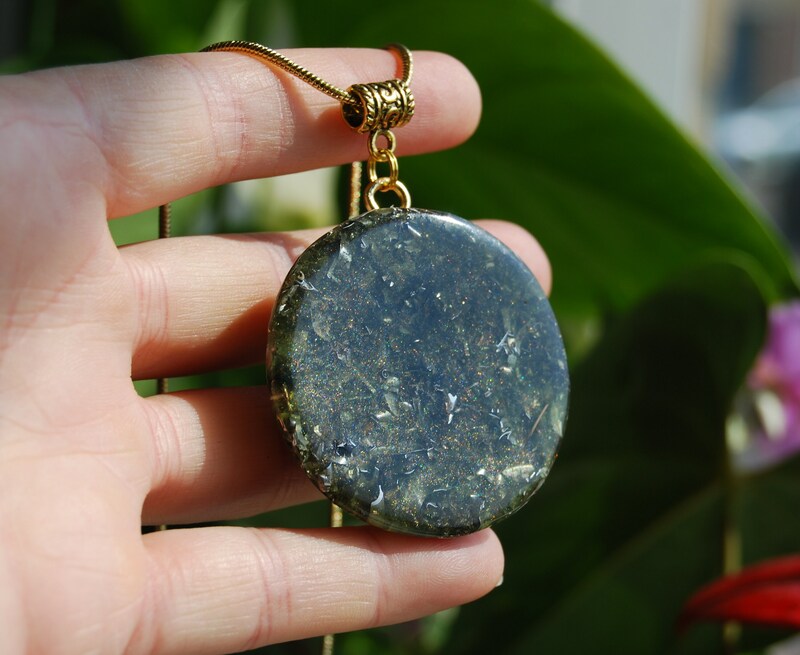 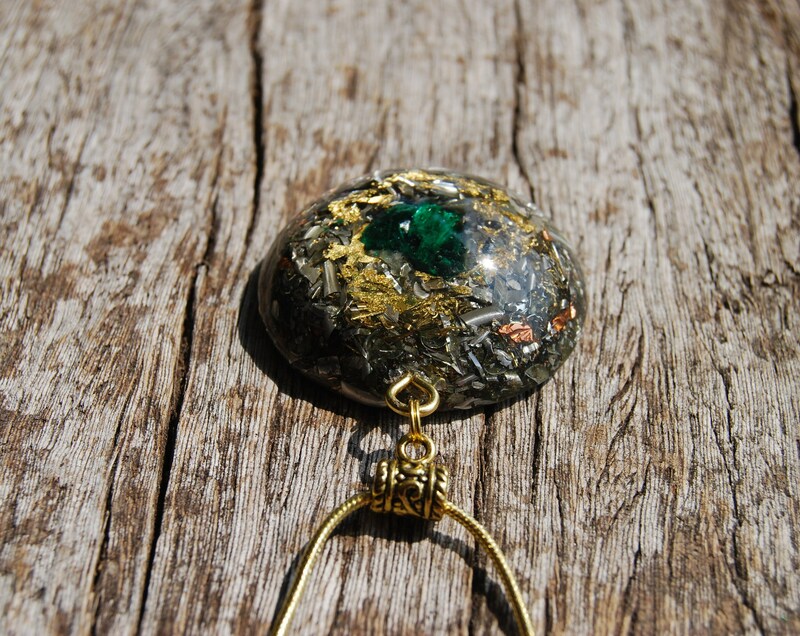 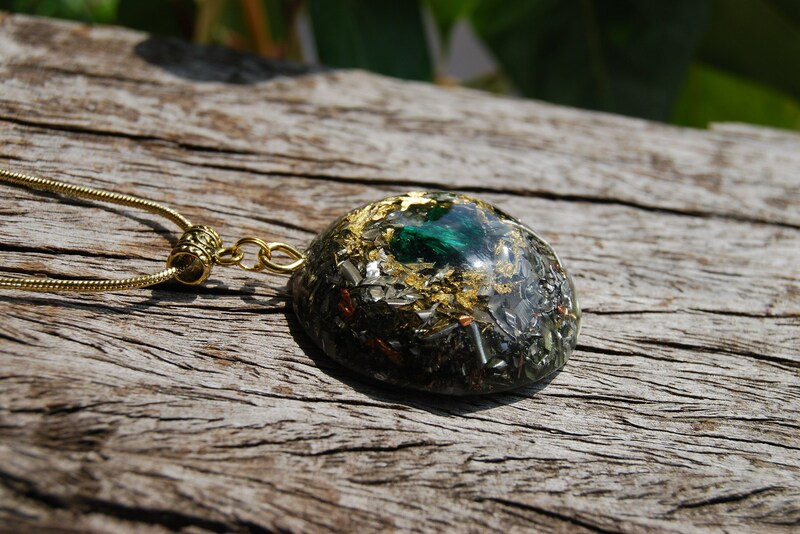 This lovely 4.6 cm / 1.8" in diameter Orgonite® pendant is made out of lots of brass, aluminium, bronze and copper shavings and 24K Gold. 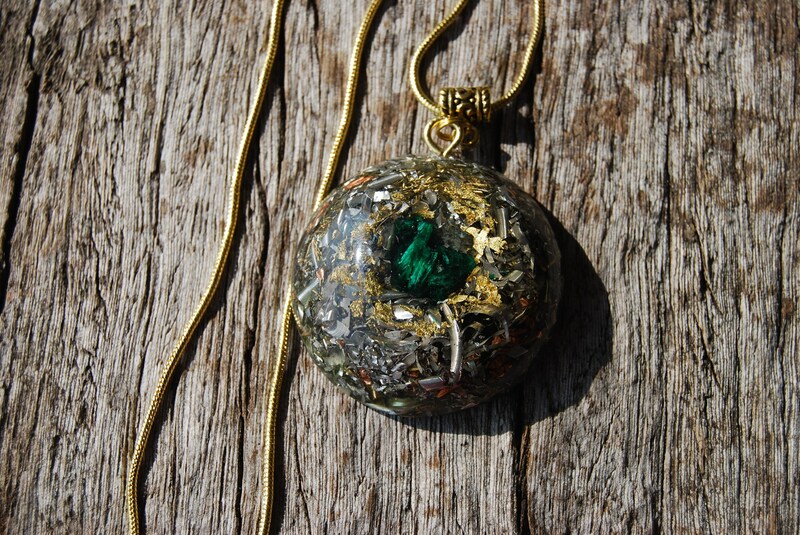 According to Wilhelm Reich's research lots of metal shavings are neccessary to remove stagnant energy. 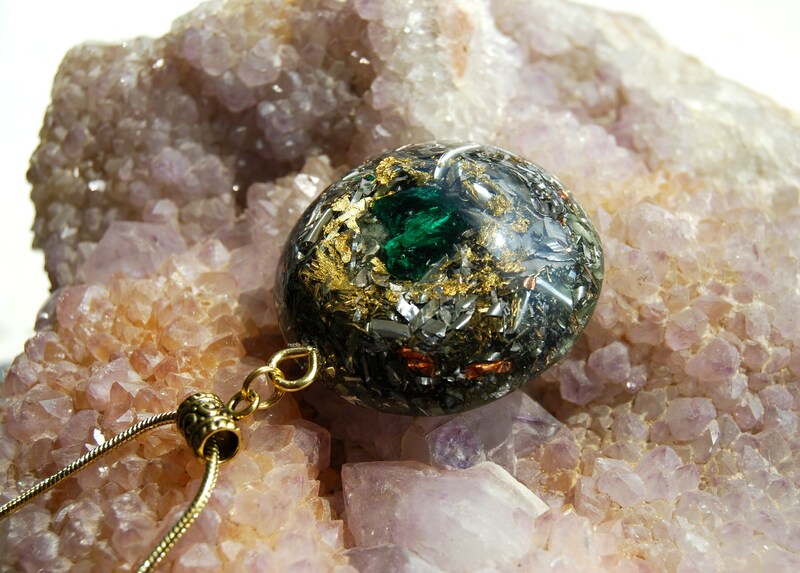 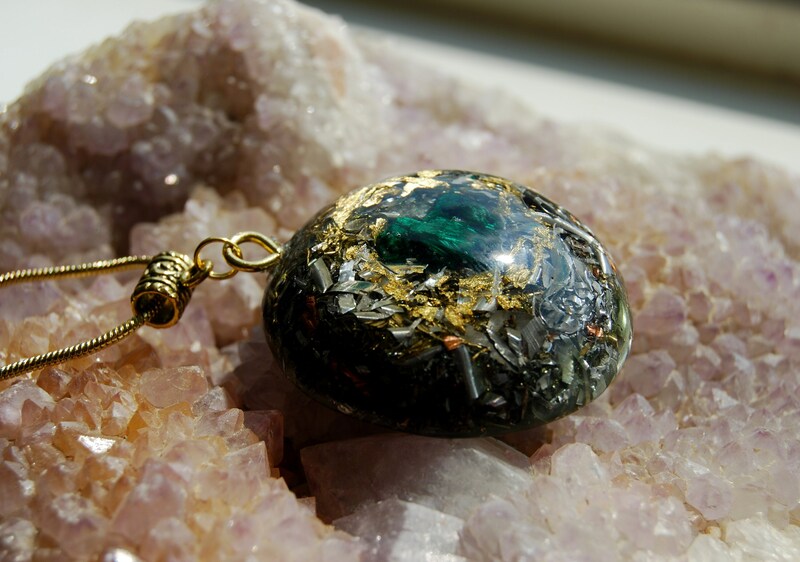 The main stone in the front is raw silky Malachite crystal with a lovely deep green color. 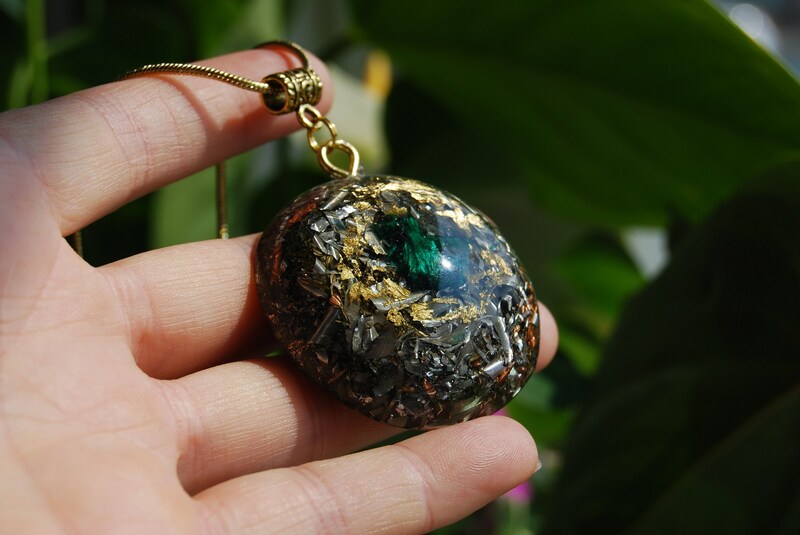 Furthermore it consists Rose quartz (self love), Pyrite (to enhance and deflect extremely low frequencies), black Tourmaline (to protect and ground excess energy), Elite Shungite (protection), Rhodizite (to amplify) and clear quartz (for piezo-electric effect) all within a durable resin setting. 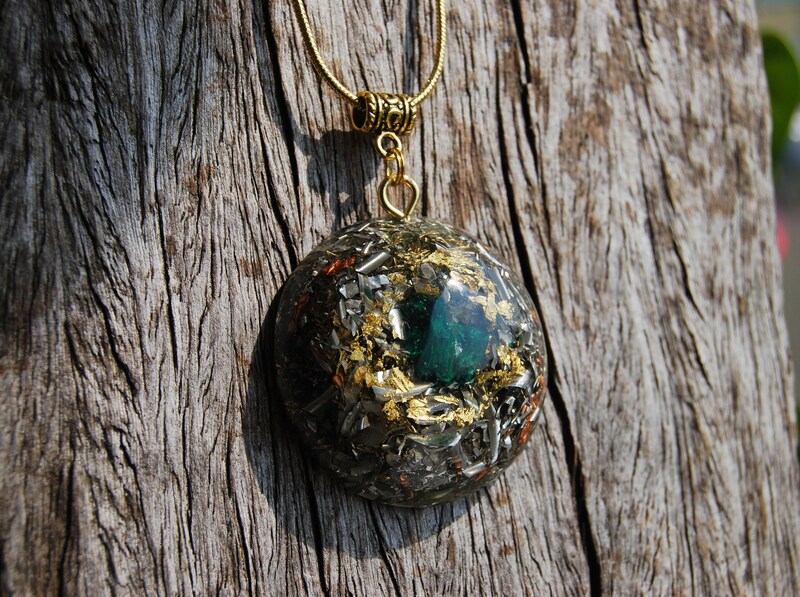 It comes on an 52 cm / 20 inches 18K gold plated chain with lobster clasp closing.